Chemical engineering is an incredibly interesting field that combines chemistry, biology, physics, and engineering. The purpose of this field is to create or improve the production of a variety of everyday necessities. Below are the pros and cons of chemical engineering. As a chemical engineer, you could make an average of $102,260 per year, according to the U.S. Bureau of Labor Statistics. In addition, it’s common for employers to offer a benefits package that includes health insurance, paid time off, and retirement plans. The very nature of the word chemical implies that these types of engineers could be placed in hazardous work situations. Chemical engineers may have to work with gases, liquids, or dust. If the proper precautionary measures are not taken, inhalation could cause lasting health problems. Many Chemical Engineers praise the flexibility and stimulation their job provides. They can choose to engineer healthier soft drinks in the food industry or work to produce plastic products that are easily biodegradable. You would rarely get bored with your work. 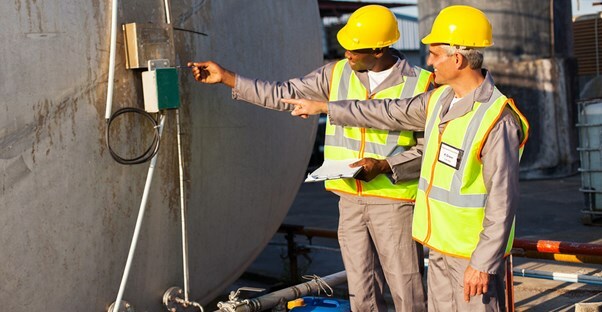 Due to the fact that field of chemical engineering is always changing and advancing, chemical engineers must stay ahead of the game and work extremely long hours. Therefore, most of their time goes toward research and production, with little time for family and friends. Chemical engineers have jobs that really make a difference in the world. You could potentially be the chemical engineer that helps find a new way to harness energy to eliminate traditional oil usage. This is a contribution that would change the course of history. In order to become a chemical engineer, you will need at least a master’s degree, and oftentimes a doctoral degree as well. This equates to many years and possible steep student loans. If you are thinking about becoming a chemical engineer, you have to weigh the pros and cons. There are undoubtedly a host of reasons that this could be a life-changing career choice that you enjoy for many years. You will have financial stability and the ability to support a family or travel the world, whichever you choose. You will also have the choice of a field you are interested in working in. If your interests start out in the environmental field and then you shift toward food production, the job allows for this change in focus. Perhaps, most importantly, you will have the chance to make lasting changes in society. However, you must consider your health. Is the money and flexibility worth putting your health at risk? While you will be able to support your family, it could jeopardize your being there for them in the long-run. Also, with such long and strenuous hours, perhaps family and travel will have to take a back seat to your career. Not to mention, you would be making a significant commitment to school and student-loans. It is up to you to decide if your passion for the field and its benefits out weights the cons. It is a decision only you can make, and whatever you decide, there will always be a multitude of upsides. Do You Have What it Takes to Become a Chemical Engineer?